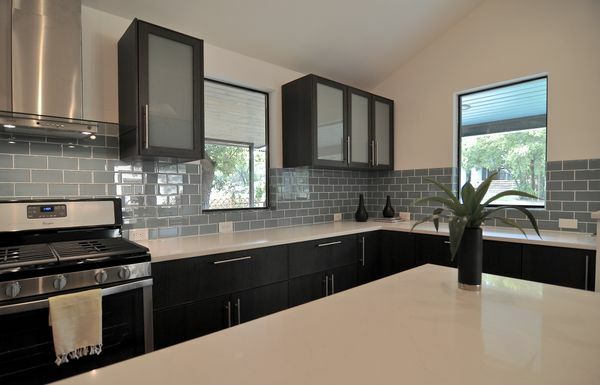 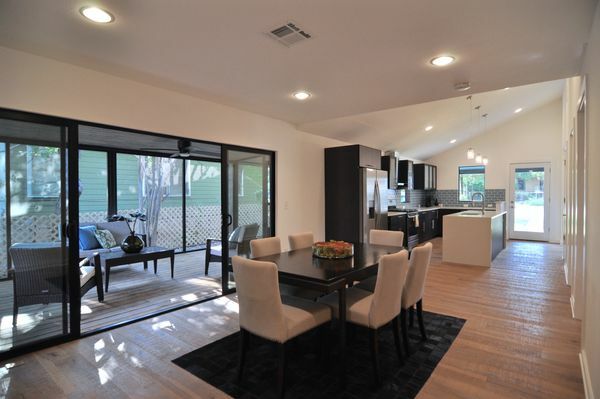 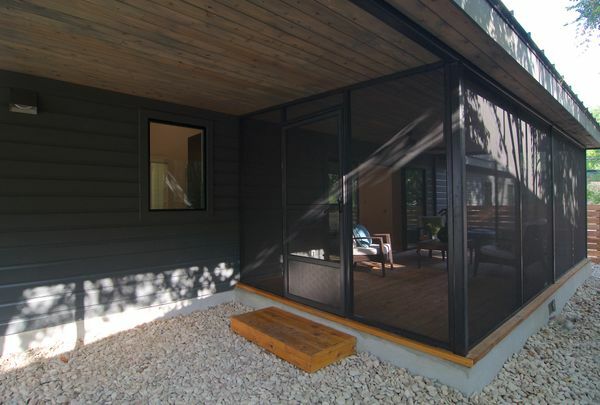 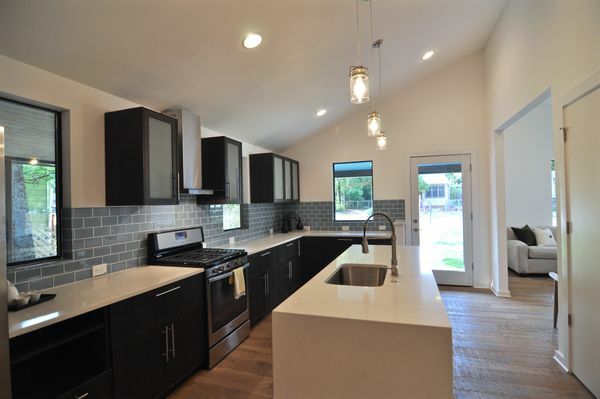 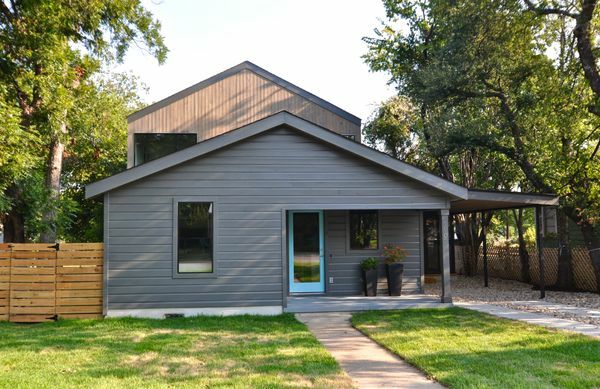 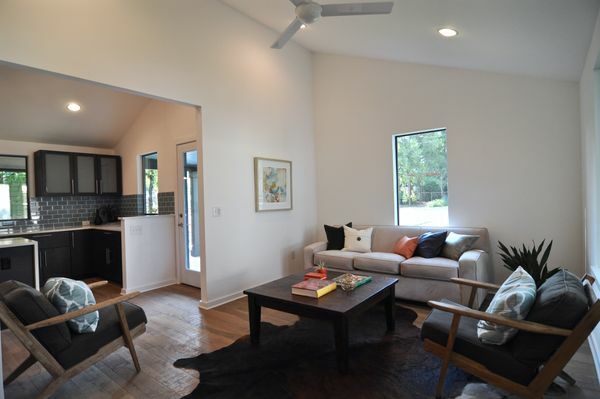 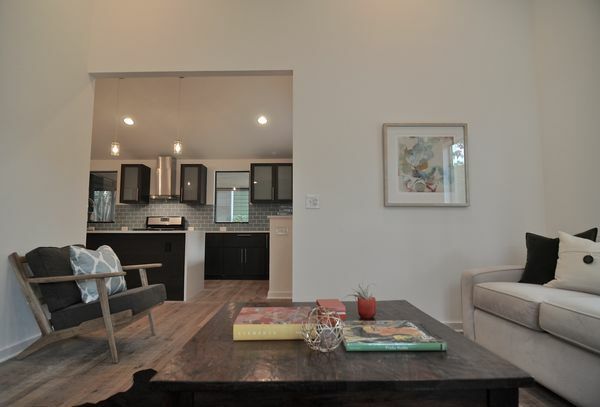 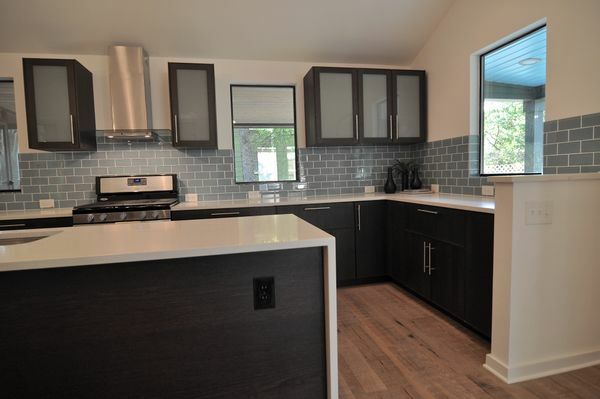 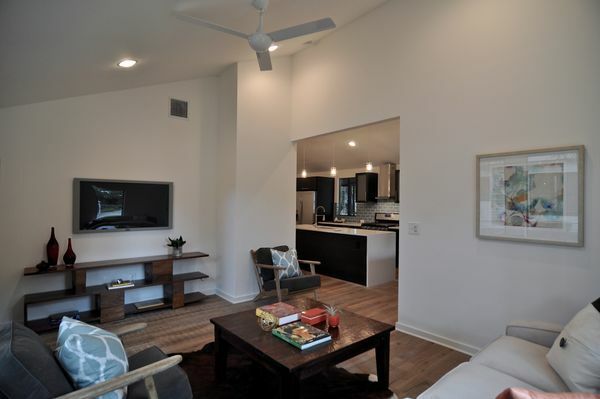 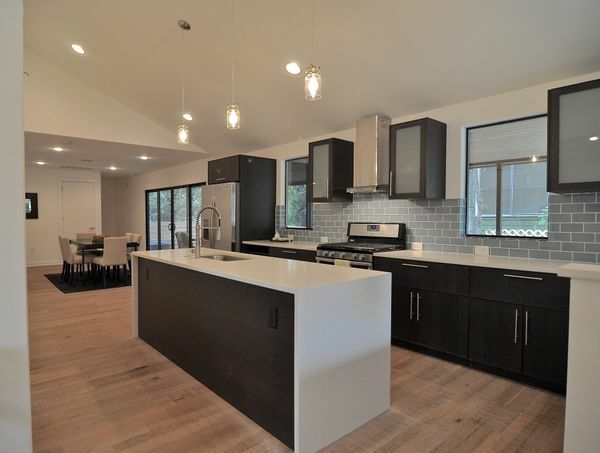 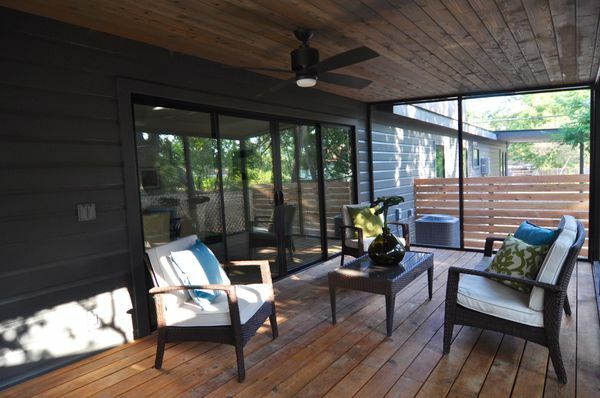 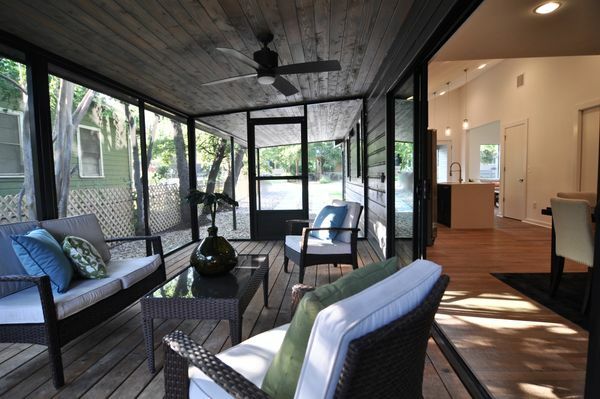 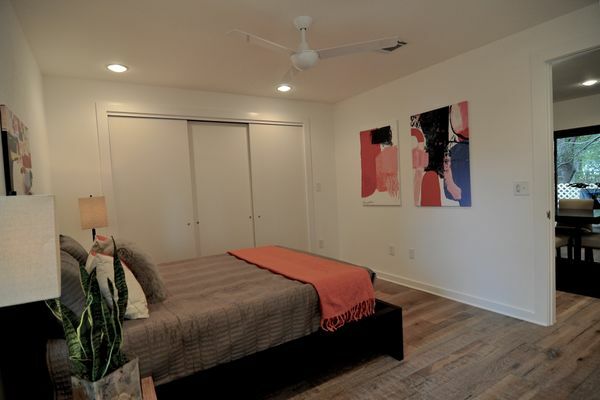 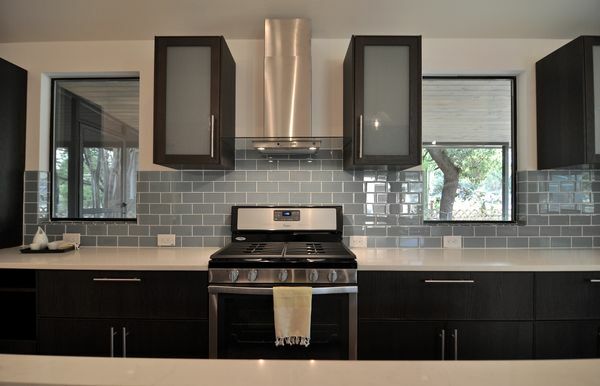 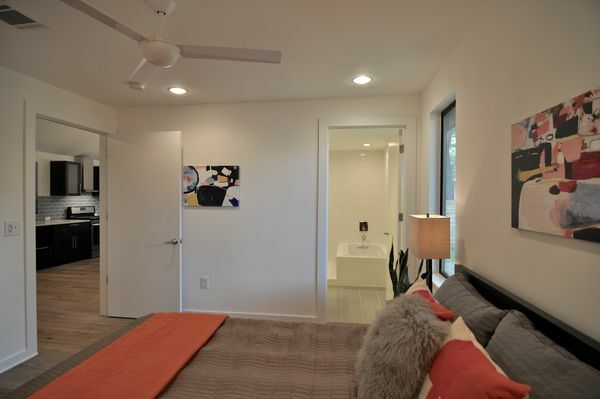 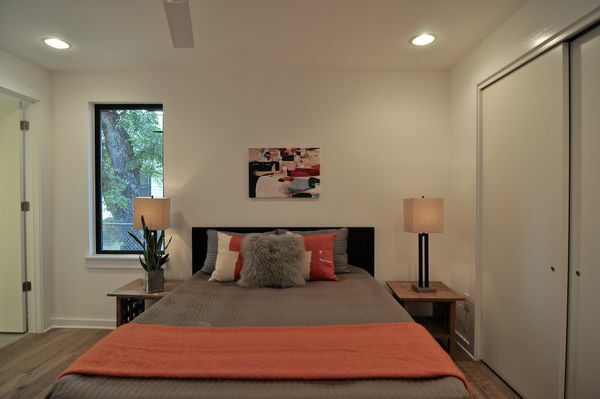 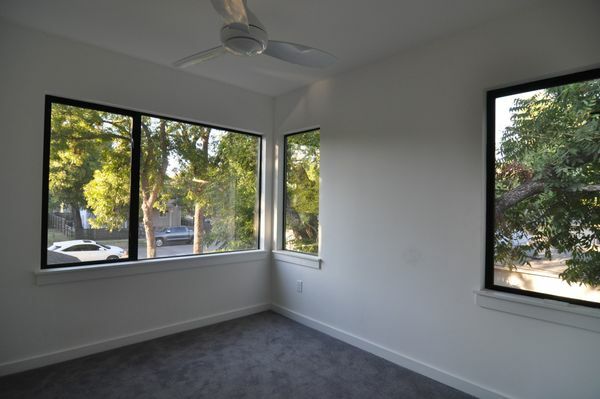 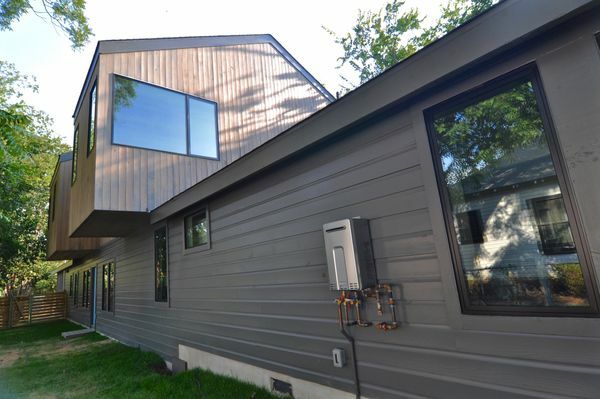 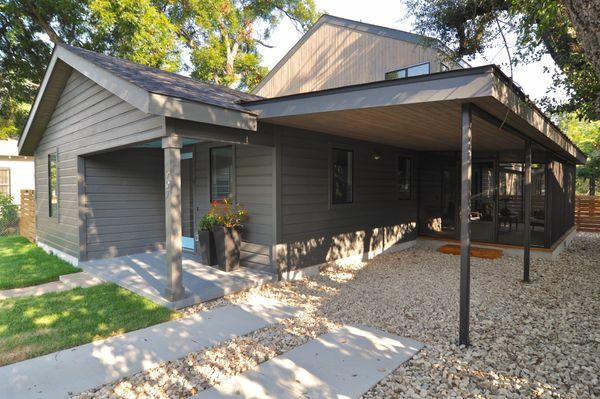 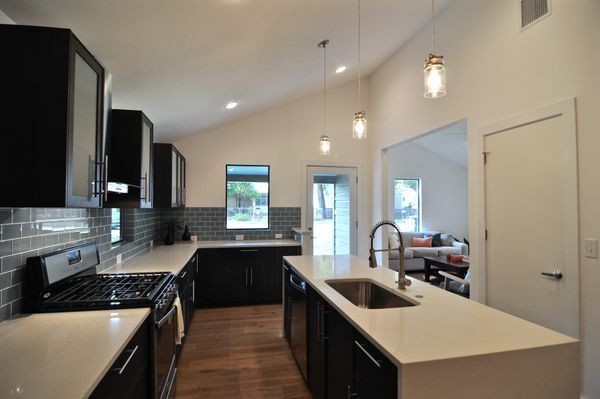 1907 E 14th is a pair of stylish, newly constructed duplex homes in East Austin. 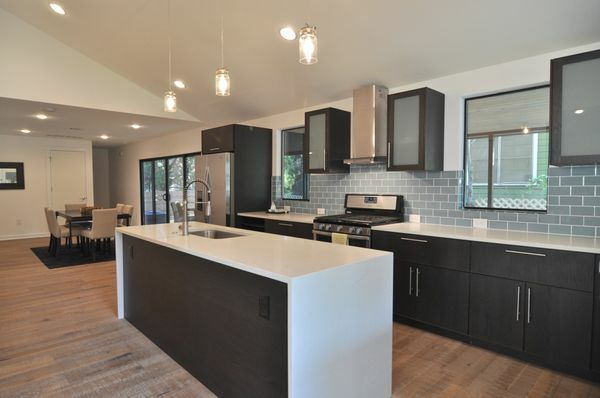 Creatively designed for comfort and spacious living that centers on a carefully appointed kitchen – quartz counters, colored glass tile backsplash, accented by espresso-stained oak cabinets. 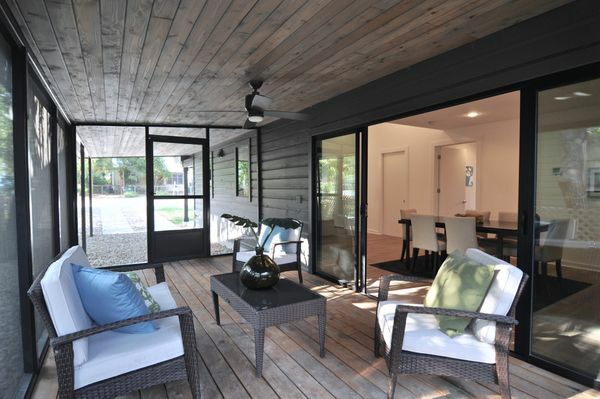 The welcoming front porch adds a vintage note to a contemporary abode. 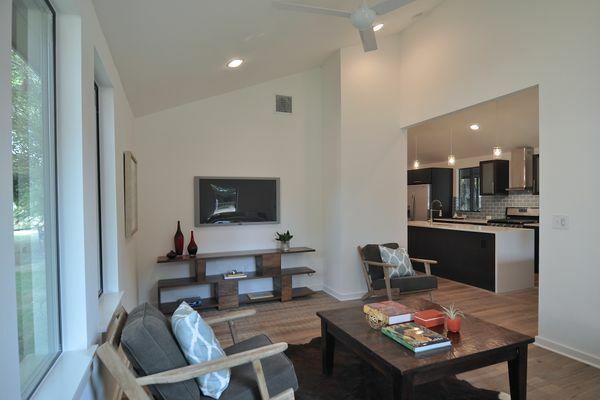 3BR-two-storied floorplan, with master on level one. 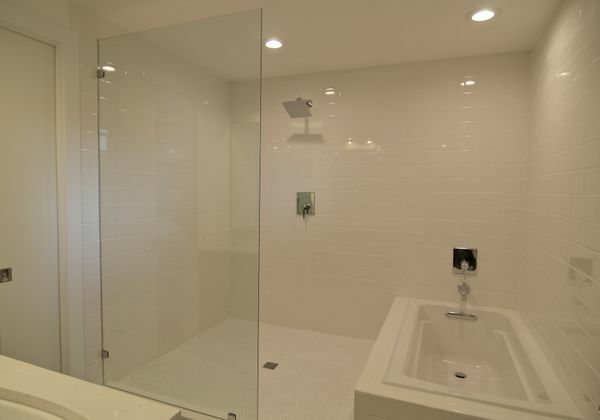 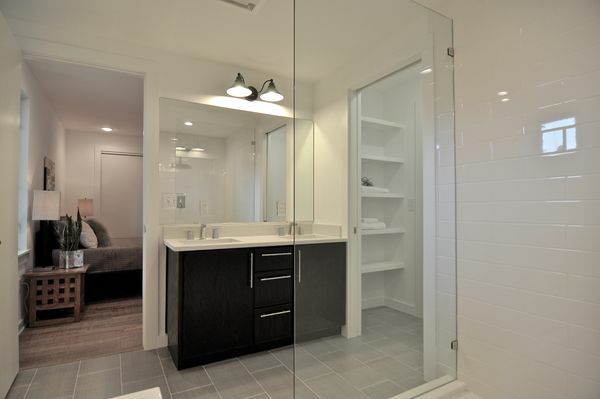 Separate tub & shower in master bath. 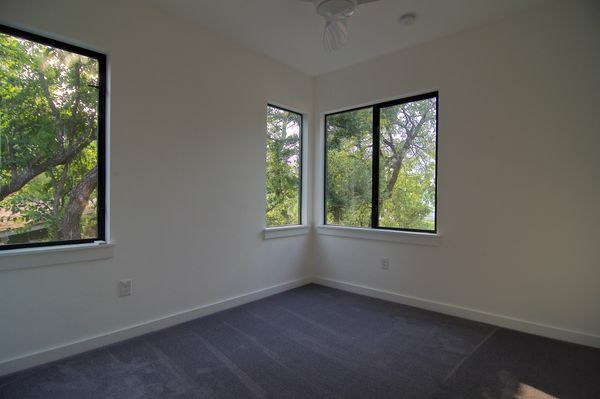 Hardwood oak floors downstairs. 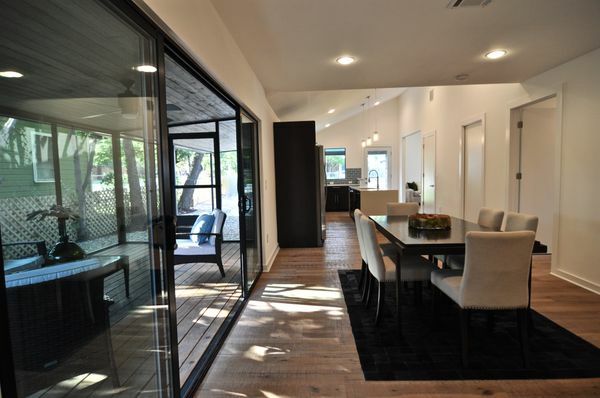 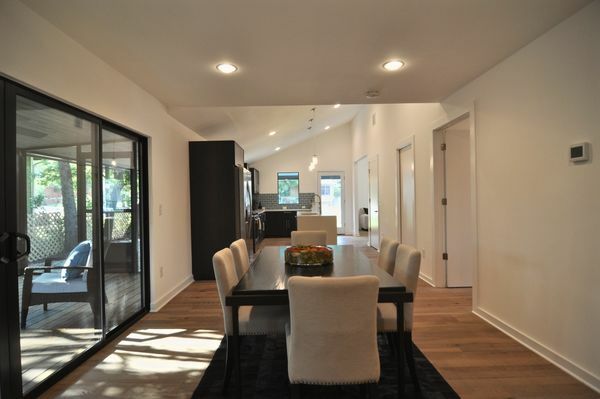 Large sliding doors extend indoor living area to a large screened-in porch. 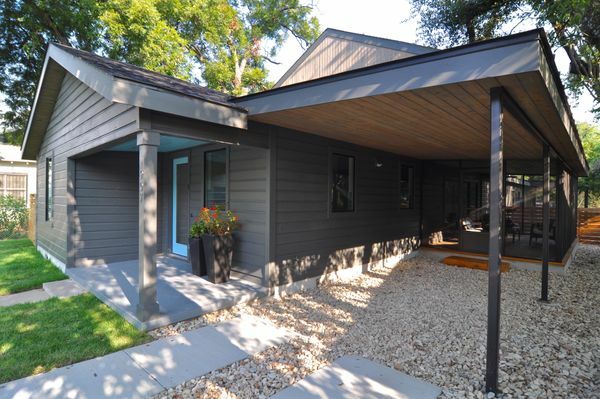 One carport. 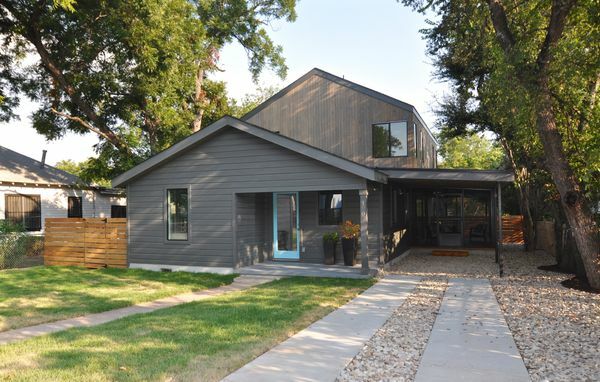 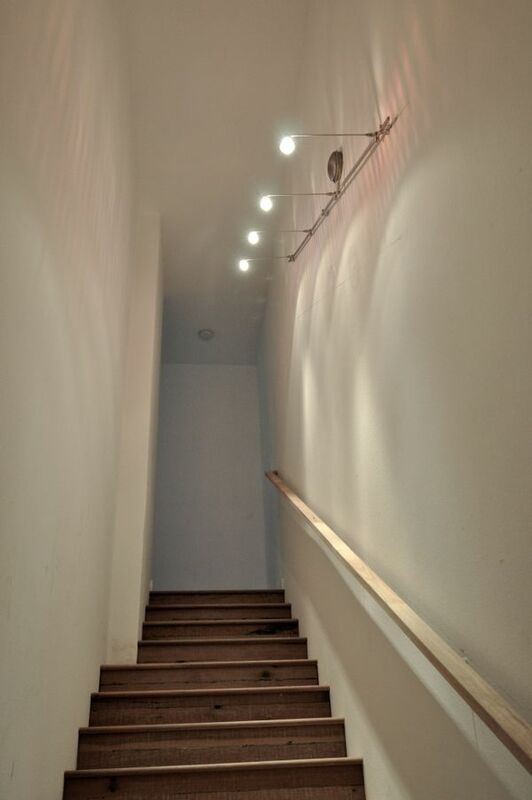 Developed by ATX Investments, designed by Architect A.J. Smith (Forsite Studio) & built by Deville Custom Homes. 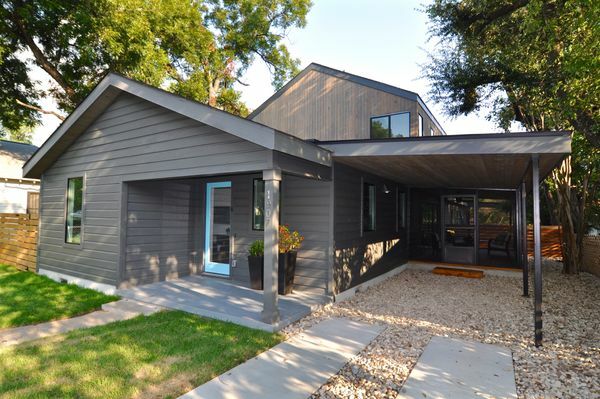 With a convenient urban core location, 1907 E 14th Street is ~0.7 mile to I-35; ~0.8 miles to MLK MetroRail Station; ~1.2 miles to UT Austin; ~1.6 miles to State Capitol; and ~7 miles to Austin Bergstrom International Airport. 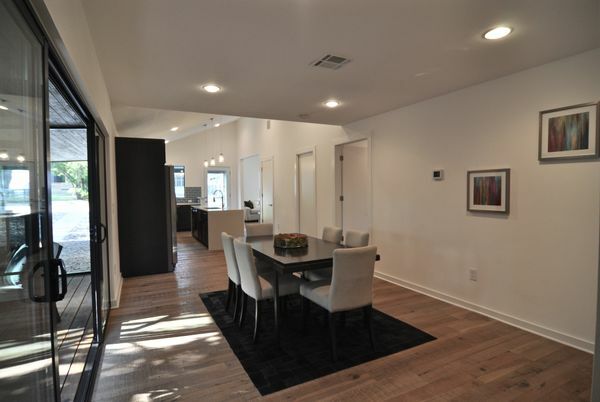 Easy access and close proximity to a growing list of popular eastside dining & entertainment spots.